Grey Heron – 45ft 2001 traditional stern narrowboat built by the Piper Boat Company and fitted out by J Houldsworth. She is in nice condition; she has character and feels roomy for a 45’ boat; she has all that is needed for comfortable living. The well deck is a good size at nearly 5’ long. This has a couple of benches / storage lockers along with a collapsible wooden table for outside leisure time. Into the 11’6” saloon. Good space in here and it is open plan with a futon (additional double berth as well as couch), a solid fuel stove (with back boiler heating the two radiators) and a drop down dining table with storage cupboard underneath. The galley is compact but has all that is needed; a 4 burner gas hob, oven & grill, 12v fridge with icebox, sink and ample storage space. A corridor aft of the galley on the starboard side leads to the bathroom. There is a Thetford Excellance Portapotti in here, a beautiful rectangular ceramic sink over the vanity cupboard, and a tiled shower area with curtain surround. Passing a floor to ceiling cupboard in the corridor one passes to the bedroom. The fixed double berth (6’2” x 4’6”) has storage underneath and cupboards over. There is a radiator in here as well as a good sized wardrobe at the foot of the bed. Steps at the aft end of the bedroom lead into the stern cabin. The BMC engine, with really easy access, is housed under the floor in here, and the various electrical instruments and navigation accessories are in here also. 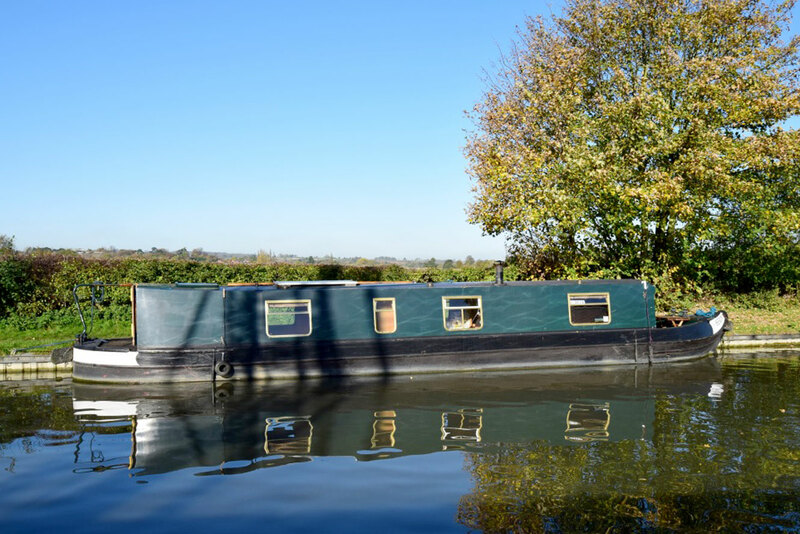 Grey Heron – 45ft 2001 traditional stern narrowboat has been well looked after; she is a really sweet boat with plenty of charm and will suit anyone looking for an easily managed boat for either living aboard or extended holiday cruising.